During the Civil War, the Union built a little fleet of armored gunboats to contest the Confederate control of the Mississippi River. 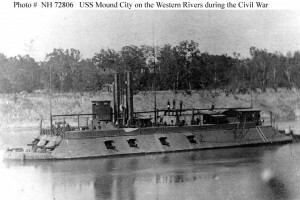 These gunboats were named after cities and towns along the Mississippi, such as the USS Cairo, USS Carondelet, and USS Mound City. At the time I first heard of the latter gunboat, I thought the name a little strange. 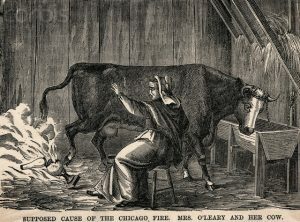 Recently, an article in National Geographic mentioned the 19th Century nickname for St. Louis – Mound City. Ah-hah! That explained the name of the gunboat, but isn’t St. Louis rather flat? Isn’t that a bit like a town down in the valley named “Summit” (apologies to O. Henry)? Well, there actually were mounds in and around St. Louis. Most of these mounds were razed by the white settlers as they moved west and found the huge piles of dirt useful for everything from railroad beds to fill dirt. 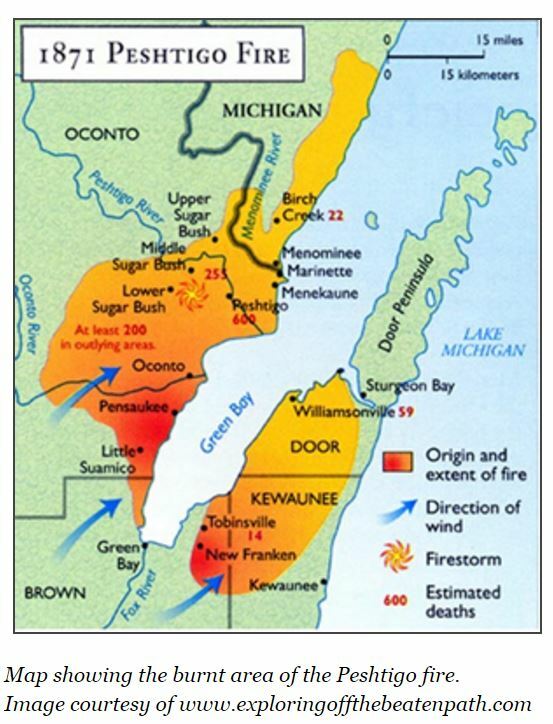 They were not natural geographic features, but structures built by Native Americans about a thousand years ago. Centuries before Columbus “discovered” America, there was a Native American culture called the Mississippian culture. Contrary to the image of Native Americans as nomadic savages propagated by the European settlers, the Mississippian culture built cities, the largest of which is called Cahokia, although the real name of it is lost to time. A few mounds from Cahokia survive today, the largest of which, Monk’s Mound, is truly spectacular – 100 ft (10 stories) high, with a footprint larger than the Great Pyramid at Giza. It was built from some 15 million baskets-full of earth and was the largest man-made structure in North America. 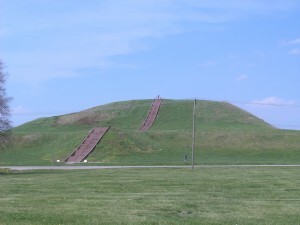 The mounds at Cahokia were used as building platforms, burial sites, and probably, in the case of Monk’s Mound, to elevate the central temple or palace. Cahokia was a city of perhaps 10,000 to 15,000 inhabitants at its zenith, but was a ghost town by the time Europeans arrived. Many aspects of Mississippian culture are not well understood, including what caused the demise of the cities like Cahokia. Vox’s Take: It’s interesting to me to contemplate that at around 1,100 to 1,200 CE there was a city in North America that rivaled the size of many European cities. We didn’t hear about this culture in our American History classes. I think this is partly because the nature of Cahokia and sites like it was poorly understood until the latter half of the 20th Century, and partly because it did not fit neatly into the prevailing stereotype of Native Americans. P.S. By the way, “Mound City” turns out to be a fairly popular town name, as there is a Mound City in Arkansas, Illinois, Kansas, Missouri (apart from St. Louis) and South Dakota.